Innocence Project research papers examine the national organization that fights the wrongful conviction of individuals. The Innocence Project is a national organization that fights the wrongful conviction of individuals. Its main objectives are to help exonerate individuals who have been wrongfully convicted and bring about positive change in the criminal justice system. The Innocence Project was started in 1992 at Benjamin N. Cardozo School of Law at Yeshiva University. In 2004, The Innocence Project was able to become a separate nonprofit organization, but is still connected to Cardozo. 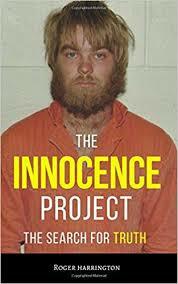 Paper Masters can help you produce a custom written project on the Innocence Project. The Innocence Project uses DNA testing along with private attorneys to help prove the innocence of criminals that they believe have been wrongfully convicted. Those convicted of a crime can e-mail or write to the organization and must go through an application process. The organization will only take cases that DNA testing can be performed. DNA testing is only possible in an estimated 5%-10% of all criminal cases. Each year roughly 3,000 people write to the organization seeking their assistance. It is estimated that more than 20,000 innocent people are currently behind bars in the United States. There are several ways that people are wrongfully convicted. The misconduct of investigators is also a reason that some people are wrongfully convicted. To date the organization has helped prove the innocence of 312 people, several of those people being on death row. The Innocence Project is also working to create programs for exonerated individuals upon their release from prison. Some states have laws that allow for compensations to exonerated people. The Innocence Project is currently working to expand the number of states that offer this compensation. The project also works with individuals and helps them connect with social workers and other individuals who can help them begin to rebuild their lives. The majority of the organization’s funding comes from private donors. Other funding comes from other foundations, fund raisers, Corporations, and Cardozo Law School. DNA Evidence at crime scenes is invaluable and is discussed in research papers from Paper Masters. DNA Fingerprint is a DNA profiling technique used to identify a criminal. Women on Death Row essays examine the section of prison where female inmates wait for their executions in isolation. Mentally Challenged and Death Row Research Papers evaluate the usage of death penalty on mentally challenged. Forensic science involves the application of physical science to areas of the law and a procedure involves extracting DNA containing cells from a piece of evidence. Order a research paper on forensic science from Paper Masters. Social Work Career Methodology Research Papers discuss a sample of a paper order placed for graduate level services. Paper Masters writes custom research papers on Innocence Project and examine the national organization that fights the wrongful conviction of individuals.